Europeans get a weaker software emulation of Playstation 2 and Playstation 1 titles compared to the hardware emulation that Japanese and American Playstation 3 owners enjoyed. It was not known - until now - how good, or shall I say bad, the software emulation worked and how many games could be played at all. Sony wants to cut down on manufacturing costs and Europeans are the first to witness the ill effects. The Playstation 3 costs more and plays less, would not call that a bargain but the crazy Brits will surely buy the PS3 nevertheless. Gutenberg was a German inventor most famous for inventing movable type printing around 1450 in Germany revolutionizing European print-making. Project Gutenberg offers more than 20000 free Ebooks for download and has a audiobook section as well. The audiobook section of Project Gutenberg offers a great list of free audiobooks in various languages with the emphasize on English audiobooks. Please note that all audiobooks are read by humans, some audiobook sites offer books read by computers instead. Human read audiobooks are of a higher quality. EzTakes is a movie store that offers DRM free DVD downloads. You may watch and burn the downloaded DVD movies as often as you want without restrictions or additional payments. The format of the movies is the standard DVD format with a VIDEO_TS folder. DVD Covers and prints will be downloaded automatically as well completing the movie download process. Most other movie stores, like Amazon Unbox, restrict usage of the downloaded movie files and make it impossible to burn the movies on DVDs that can be watched using a standalone DVD player. Version tracking is extremely useful if you work with files that change very often. This is mostly interesting for coders and website owners but also for users who write large text files and artists that work with graphics or music for instance. 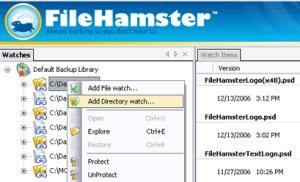 In short; File Hamster keeps backups of all old versions of files that you specify making it incredibly easy to revert back to a previous version or take a look at the changes between different versions. I'm using Wordpress as the blogging software of choice for Ghacks and all of my other blogs. After reading Paul Stamatious article on optimizing CSS for Wordpress I decided to give it a try and see if page loading times would benefit at all from it. I also had to check if the optimization would change the way my blog would be displayed or would throw up errors. I began by analyzing the page loading times of my blog without any optimization. The result for the frontpage was that my blog used 166K and that users with ISDN (128 Kbit) would have to wait 18.55 seconds before my site was fully loaded. One of the first programs that I installed on my new notebook that is running Windows Vista is the Partypoker application. The first start of the Partypoker application went fine and I was able to login into Partypoker and play Poker games. The next time I tried to start the Partypoker application I witnessed something that left me puzzled for a while. The application would not start. I'm currently taking a look at Greasemonkey scripts in general. I always thought that it would be to complicated to install and use them which is absolutely not the case to my astonishment.Look it up is another Greasemonkey script that can be installed like any other Firefox extension. It becomes active once you reboot Firefox and works twofold. First you mark a word or phrase in Firefox and hit a key afterwards to send a request to a dictionary site such as wikipedia. 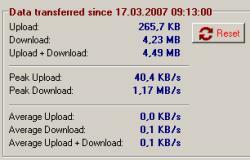 It sometimes takes ages to shutdown Windows XP and Windows Vista, most of the time when you are in a hurry. This can be caused by processes that are still open or not reacting. Windows tries to close those processes which can take a long time. If you don't have the time or patience to wait for the shutdown you might want to try the excellent freeware Superfast Shutdown which does exactly what the name suggests. Did you ever have the problem that you needed information from two websites at once and had to switch between them all the time to access them ? I usually have the problem when I write a new article for Ghacks and have to take a look at another website to find the information that I need for my article. This gets extremely irritating if many tabs are open at once and I miss the tab that I want. 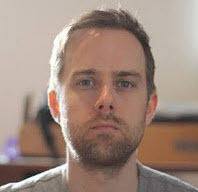 To much clicks in my opinion, that is why I was searching for a way to display two websites next to each other in Firefox. Vista Ultimate has a feature called Dreamscene that can be downloaded as a preview version including a Dreamscene content package which was released just a few days ago. Dreamscene makes it possible to use Videos as wallpapers in Windows Vista. The Dreamscene content package added four new videos that could be used as wallpapers in Windows Vista but you can also use other videos to use as a wallpaper. If you want to monitor your network traffic either because you have an account that gives you only a limited amount of bandwidth each month or because you simply want to analyze the traffic that is sent over your connection during a special period. Netmeter starts in a small window immediately starting to record outgoing and incoming traffic as well as other data such as peak upload and download speed. You can adjust the transparency level of that window or move Netmeter into the system tray. You can also adjust the colors of the graph if you like but the default values can be nicely distinguished. Is your ISP selling your clickstream data? David Cancel, the CEO of Compete Inc revealed at the Open Data 2007 conference that (some) ISPs are selling so called clickstream data of their users to marketing companies like Compete Inc. Clickstream data refers to the sequence of websites visited including the time that the sites were viewed. This is however not all the information that the companies receive. They surely analyze the user base of the ISPs that are selling the clickstream data which can be used to create complex marketing strategies for certain states or even regions in the United States. Microsoft tries to compete with its Windows Marketplace against the addon dominance of Firefox. The main difference between addons that you find at the Marketplace and those that you find at the Mozilla website is that some Marketplace addons are not free. This articles concentrates only on free addons for Internet Explorer 7. 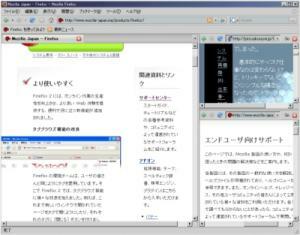 I try to point out similar addons that are available for Firefox to make this article useful for Firefox users as well. I do use both on different computers by the way. Most of the addons that can be downloaded from the Windows Marketplace for Internet Explorer are actually toolbars. I would estimate that about 50% of all addons are toolbars. Moby, James Blunt, Metallica, Jack Johnson and Madonna. That is only a sample of the artists that you can find on Sideload. Sideload basically searches the internet for free mp3 files that are for example used for promotions or available on the artists websites. 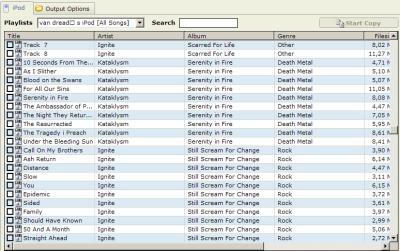 Those mp3 files get indexed by Sideload and can then be found using the Sideload search. The homepage of Sideload already lists about 100 mp3 files that can be instantly listened to. Just click on the little green > icon to play the song that you want to listen to. I loved to play games like Streets of Rage and Final Fight in the arcades with a friend. It was tremendous fun to several punks at once with the character that you have chosen to play. A nice feature was the character selection screen before you start a game. Would you select a quick guy who was faster but would not hit that hard, or would you rather select the slow brawler that hit harder ? 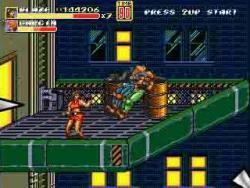 Streets of Rage Remake offers six playable and two unlockable characters to chose from. All vary in power, technique, speed, jump and stamina. I visit Apples Trailers website occasionally to take a look at the newest upcoming movies and get a first impression that helps me decided whether I want to see a movie or not. It happens that I sometimes come upon a trailer that I want to download to watch again, or show a friend who does not have internet. There are unfortunately no download links at Apples Trailers site and I was beginning my search for an easy way to download the trailers I wanted in the quality I selected. You can use iTunes to copy to your iPod but not to copy them back to your hard drive. I don't know if this has been intentional to please the Music Industry but I doubt it was just an error that could not be corrected in later revisions of iTunes. You have to look elsewhere if you want to copy songs from the iPod to a hard drive again, lucky for us tools that can do this exist and are free to download and use.